This charming home is tucked away from the busy main streets and located in an ideal & highly sought after Seattle location! Believe it or not, the structure was previously used as a utility shed by the previous owner. One of our investors came in, had some back and forth about getting the lot subdivided but ended up turning this run down shed into a 530sf light & bright cozy space! Originally purchased for $150,000, this home sold for $325,000! 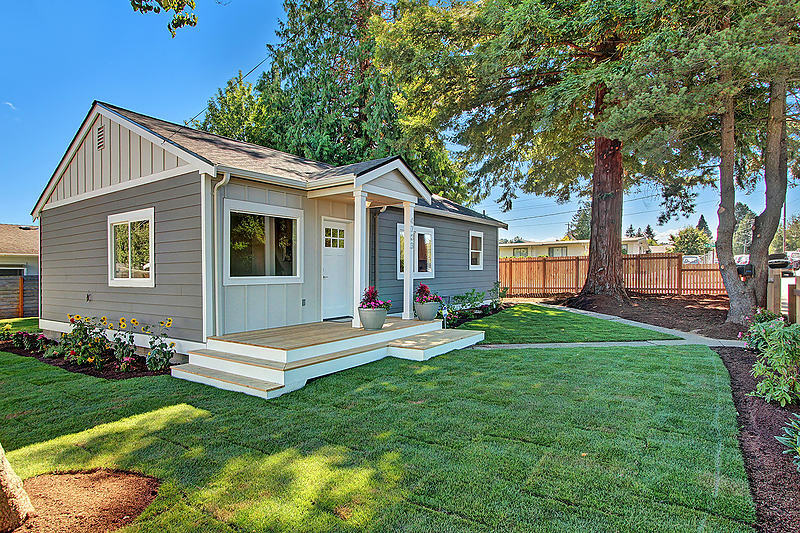 This property is proof that there are incredible deals for first time home buyers in Seattle! Every inch of this home was thought out in immense detail and remodeled. Having a small space to work with, you have to make the most of every inch. Which is exactly what our investor did! 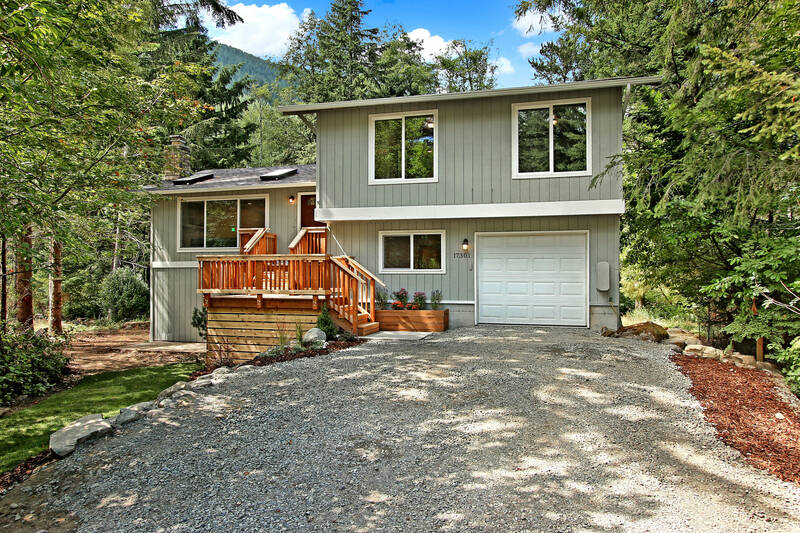 This home was found on a quiet, private street in a lovely North Bend neighborhood. The investor was ecstatic to find this opportunity! Upon completing a walk through of the property, they found out that over time - the structural foundation had been compromised. 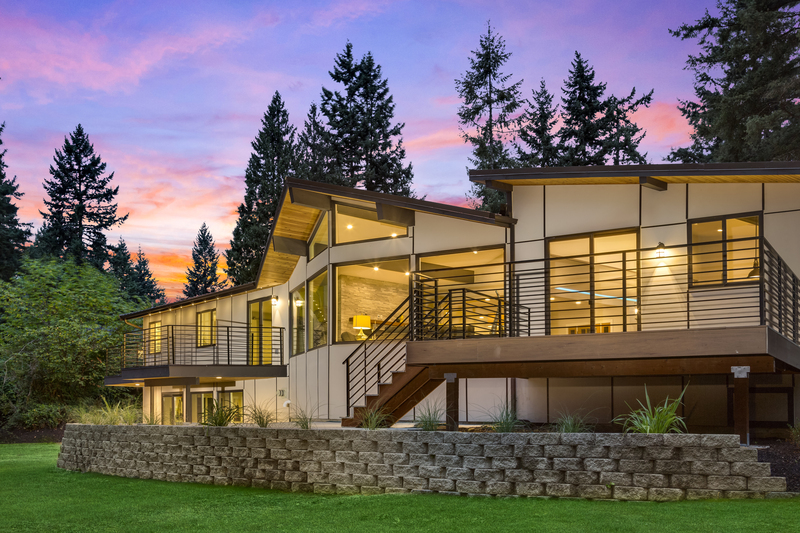 The first step in the remodel process was to raise the entire home over 7' to re-stabilize and make sure they had a solid foundation to continue the remodel. Although this may seems like an easy task, it took far more time and energy than originally anticipated. Situations like this one are one of the many factors to keep in mind when flipping houses! One of our Caliber agents found this home on the MLS while searching for homes in the Issaquah area. Recognizing that this home had great bones and incredible potential, he immediately notified our in-house evaluation team who performed an analysis and qualified this project as one that could be highly profitable! This house had been gutted down to the studs by the previous owner, so the bulk of the work would be in making structural repairs before finishing the designs and bringing them to life. The Caliber Design & Renovation team then put together a unique plan that catered specifically to the details of this one-of-a-kind home. Recessed lighting, fresh paint, and beautiful flooring all helped bring this simple entryway to life! 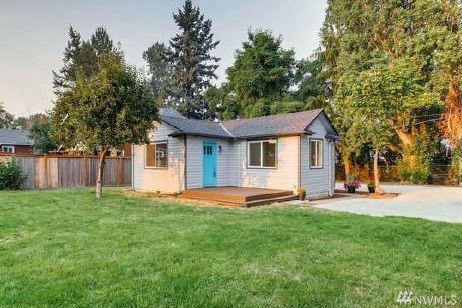 This home is the perfect example of the endless possibilities that Seattle fixer homes being sold on the market can bring. This 900 square-foot home was publicly listed for sale for, and we were able to help a client purchase for low enough that it would make sense as a flip opportunity. Every surface of this home was taken into consideration when selecting each finish and making all of the stylistic decisions. To maximize the small space and keep the tone of the home light and bright, they decided to stick with fresh neutral tones and to let as much natural light in as possible. The completed renovation took six months to finish. The house and yard were in rough shape when the property was aquired. The entry way added some appeal, but the height needed to be raised. The yard had not been cared for, and was in need of a total overhaul. This 1 story with an unfinished basement was purchased by one of our investors for $470k. Went from 2 bed 1 bath to 4 bed 2 bath. After three months of work and a renovation budget of 90k, it was put back on the market and sold for $790k. That is 90k over asking price!!! This house got a lot of attention. Because of the modern updates, buyers fell in love and would pay almost anything to make this their new home. New sod in the front yard. New cedar door and cedar siding on front with new steel rail on porch for a modern look. The living room has new hardwood floors, new stack stone fireplace with custom mantle, new recessed lighting, new mouldings, new paint, and retextured ceilings and walls. New furnace, plumbing, and electric.